Farmers have been growing tomatoes in greenhouses for almost 100 years. According to the National Sustainable Agriculture Information Service (ATTRA), tomatoes are the "leading greenhouse vegetable crop in the United States and Canada." As a result, there are many successful techniques for growing tomatoes in greenhouses. One thing that they all have in common is the optimal temperature for generating a successful tomato harvest. During the day, greenhouse temperatures should stay between 75 and 85 degrees Fahrenheit. Temperatures in this range encourage plant growth and fruit production. This range also discourages development of certain fungal diseases like gray mold. ATTRA suggests that fan-based heating systems keep temperatures more consistent throughout the greenhouse and recommends their use. Other heating systems may allow for 10- to 15-degree temperature variations within the greenhouse. Variations this significant can compromise crop quality and quantity, as well as increasing disease risks. Ideally, overnight greenhouse temperatures should not fall below 60 degrees F. Temperatures that consistently fall below this level are likely to result in poor pollination, abnormal fruit development and poor root-system development. Cooler temperatures also make plants more susceptible to fungal infections like gray mold and early blight. 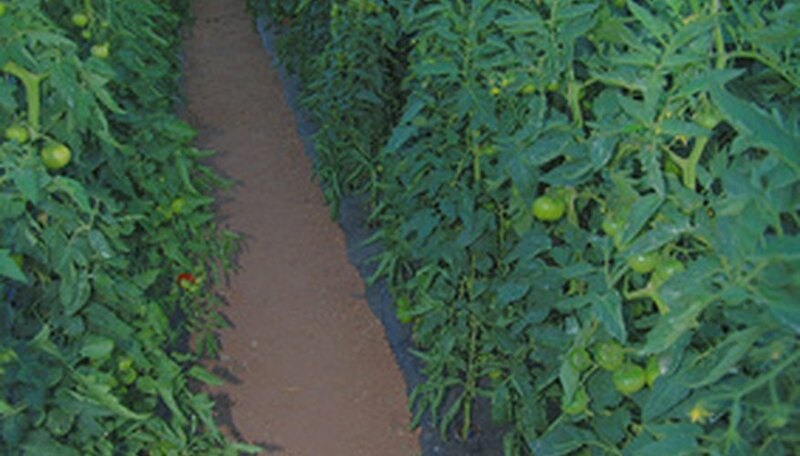 Tomato varieties specifically designed for greenhouse growth are especially sensitive to cooler temperatures. Field varieties are somewhat heartier, but will still have problems. As outside temperatures warm, greenhouse temperatures should not exceed 95 degrees F. Temperatures this high reduce root growth and result in abnormal color development on the inside and outside of tomato fruit. If your greenhouse is in a warmer climate, increasing roof height helps keep warmer temperatures away from tomato plants. Proper ventilation is important to help keep temperatures under control. Greenhouses need an effective ventilation system to maintain air circulation. Controlling humidity levels in your greenhouse make it easier to regulate temperatures. Humidity levels below 80 percent discourage fungal disease growth. Lower humidity levels make evaporative climate control systems more effective and help reduce heating and cooling costs. Good ventilation helps to reduce humidity to appropriate levels. Ventilation is necessary at all levels of your greenhouse, from an adequate roof height to proper plant spacing. Pruning bottom leaves also encourages ventilation. Be sure to remove all prunings from the greenhouse to discourage fungal development. If you want to heat your greenhouse at ground level, consider using heating pipes. Pipes warm the air at the base of the greenhouse. As the heat rises, it forces cooler air at the top of the greenhouse downward. This process encourages good airflow within the greenhouse. Whatever system you choose, temperature regulation and control are most effective with proper circulation and humidity control. Barbara Gulin has been a freelance writer and editor since 2008. She has helped write curriculum for Asian elementary students to learn Engish and has written extensive content for Themomsresource.com. Gulin studied electrical and computer engineering at the University of Missouri, Kansas City. She is also a licensed life and health insurance agent.